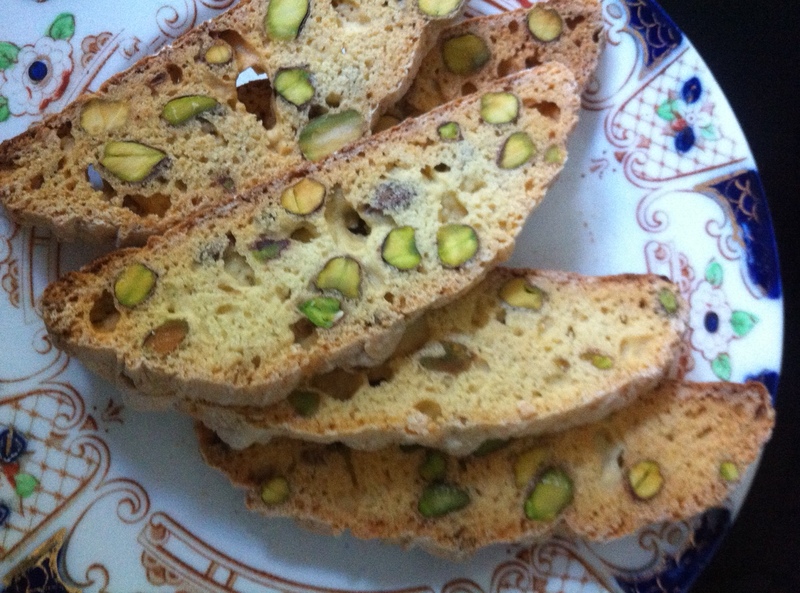 Biscotti: Just A Little Nibble! | Izzy have you eaten? 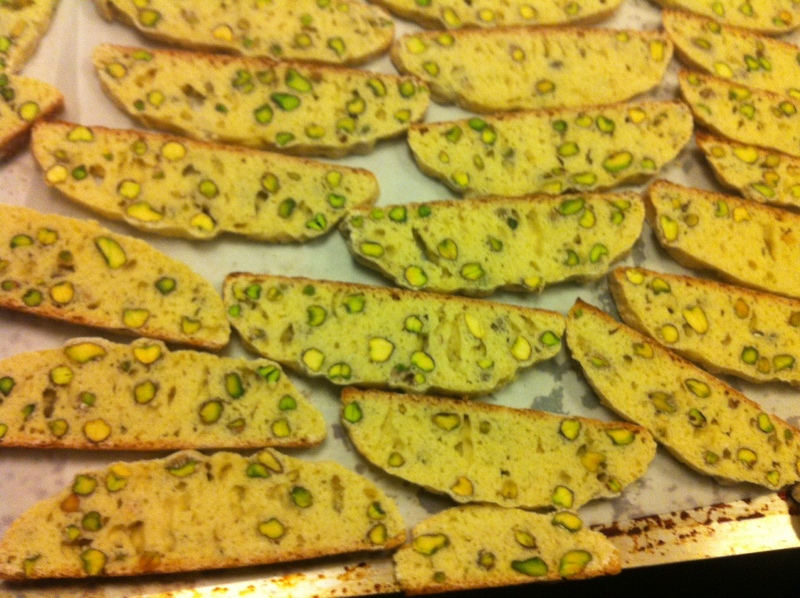 Biscotti: Just A Little Nibble! Having you both home ( and on our travels) was just so much fun- I didn’t get much of a kitchen look-in during that time; Little C took the reigns while the rest of us enjoyed her endeavours. She was determined dad shouldn’t go hungry on the long days he spent at work, and sent him off to work one day with amazing Anzacs, to which she’d added dried mulberries that she’d bought at the Bondi farmer’s market. 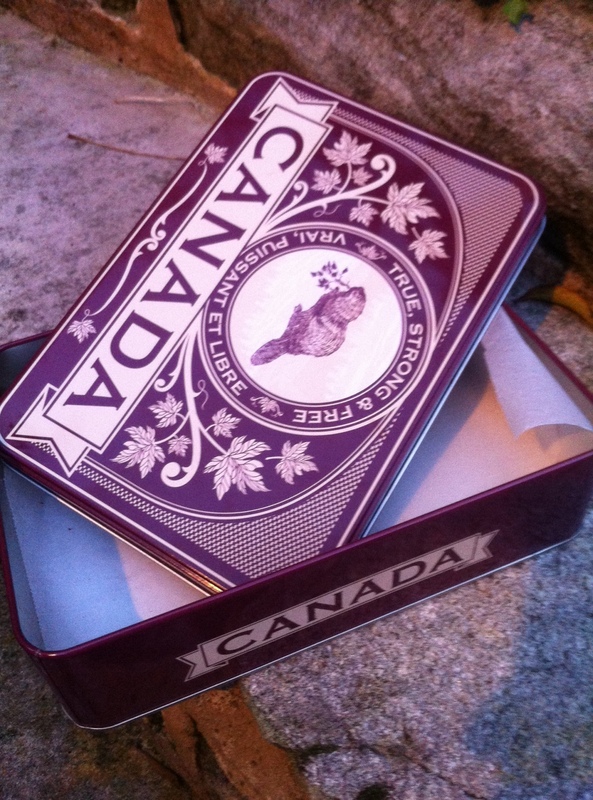 Anyway seeing this empty Canada biscuit tin on the kitchen bench reminded me of those lovely biscuits Little C so thoughtfully baked for her dad so I pulled out a mixing bowl…….time to fill up that tin again! Can’t have your dad staying at work till all hours without a snack to reach for, right? 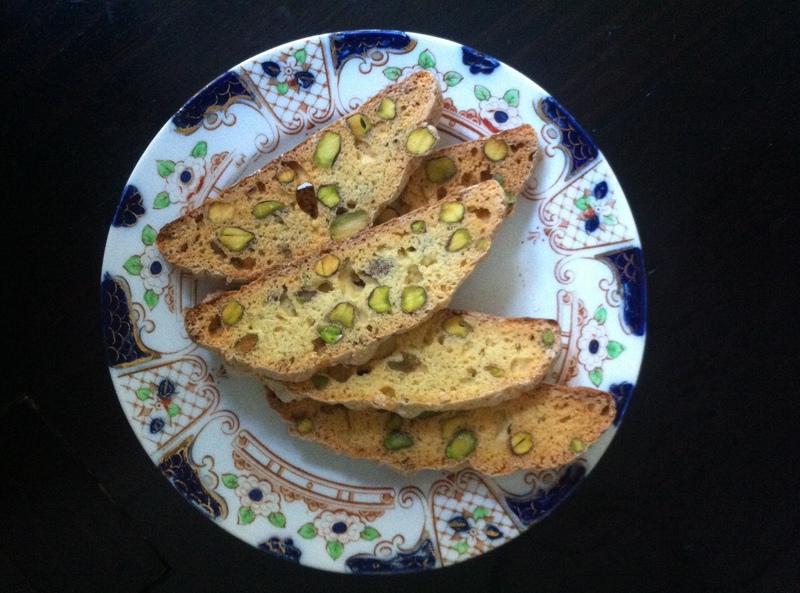 I was reminded of our gorgeous Brissie friend’s excellent home-made biscotti, and how whenever we are together, she says: Tina, you really should make some yourself. So I am, and I’m sharing them with you, ladies! In a bowl, mix flour well with baking powder, stirring through with a fork. Add sugar and pistachios or other nuts/dates/dried cherries, etc that you are using (1 cup in total) and mix well. Add beaten eggs and rosewater and knead with your fingers into a soft dough. Sprinkle some flour onto a clean surface and shape your dough into a long loaf, slightly flattening the top. Line a biscuit baking tray with grease proof paper and place the loaf onto the tray. Bake for half an hour, and then remove the loaf from the oven, place on a wire rack and cool completely. Now slice the loaf with a serrated bread knife into 1 to 2 cm thick slices. At this point, you can put some slices in a ziplock bag and freeze for later if you like. Put the slices back onto the tray and bake for another 15 to 20 minutes until pale gold in colour, and crisp. Store in an airtight jar….. or a biscuit tin! This entry was posted in GROUP A, Uncategorized by tgb9593. Bookmark the permalink. Lovely new post, and beautiful tin!, When you mentioned Anzac biscuits I was reminded of the superb Pumpkin pies, Hilarie Mais and Bill Wright’s daughter makes for us at Thanksgiving with ananzac biscuit crust, every American believes it’s the best pumpkin pie they ever tasted (just don’t tell my mother!) Jess got the recipe from an old astalian New Zealand Farmers Almanac, that I’m sure she would share with you if you were interested in November for a seasonal post to the girs who I’m sure enjoyed mant Thanksgivings in America! I would love to catch up with you for a lunch if your not too busy. Hello Wendy! So nice to hear from you. Love the sound of the pumpkin pie. wow- with an ANZAC crust? Fabulous!